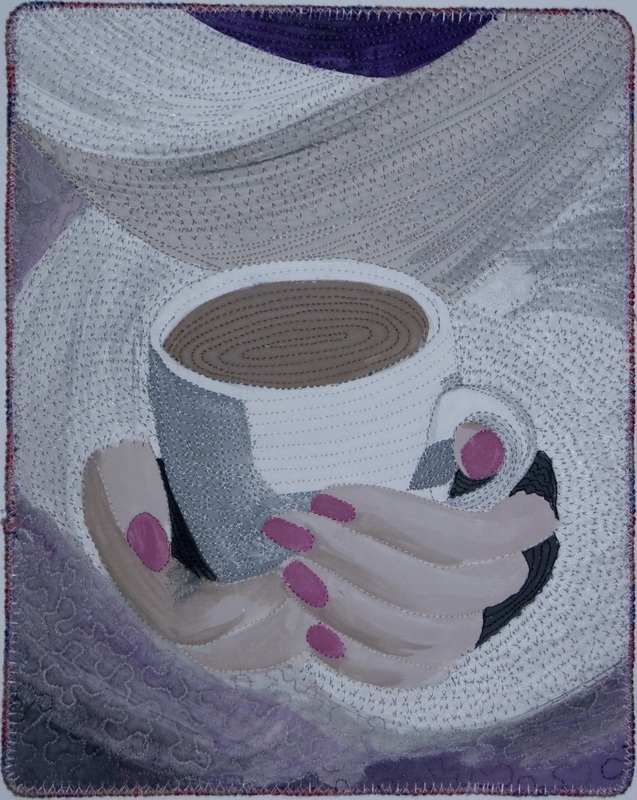 The brief this year is simply that the quilts must be 8" X 10" and portrait orientation. January to April has to have a small piece of purple. May to August a bit of green and September to December a bit of orange. I decided to also give myself a theme - Tea. January JQ. 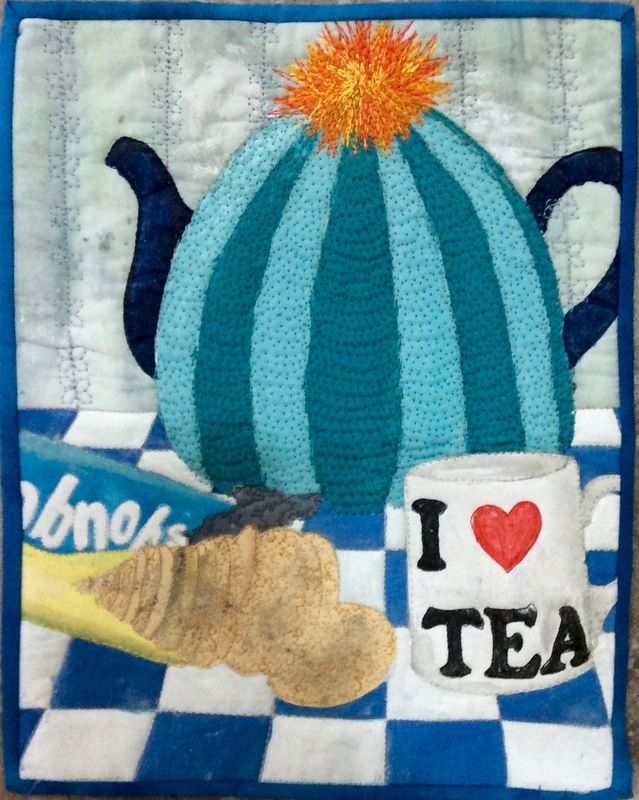 Used tea bags stitched together on a tea-dyed background. Lettering painted. Cup appliqued. 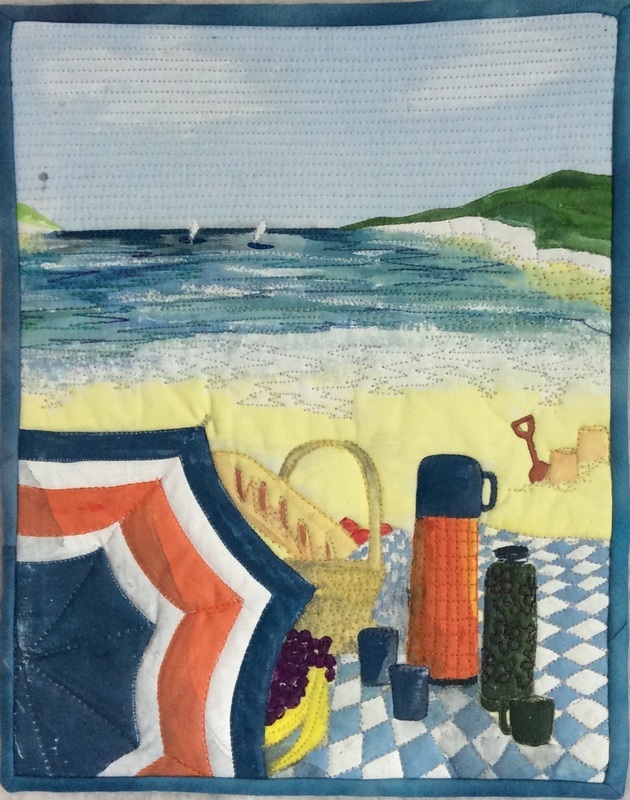 Lots of free motion stitching. March. A cup of tea is great for warming up your hands. April. Still life "A cup of tea and a good book"
May. The next four must have a bit of green. "Nostalgia" I have never actually owned this teapot or a tray cloth, but I was imagining my grandmother serving tea. 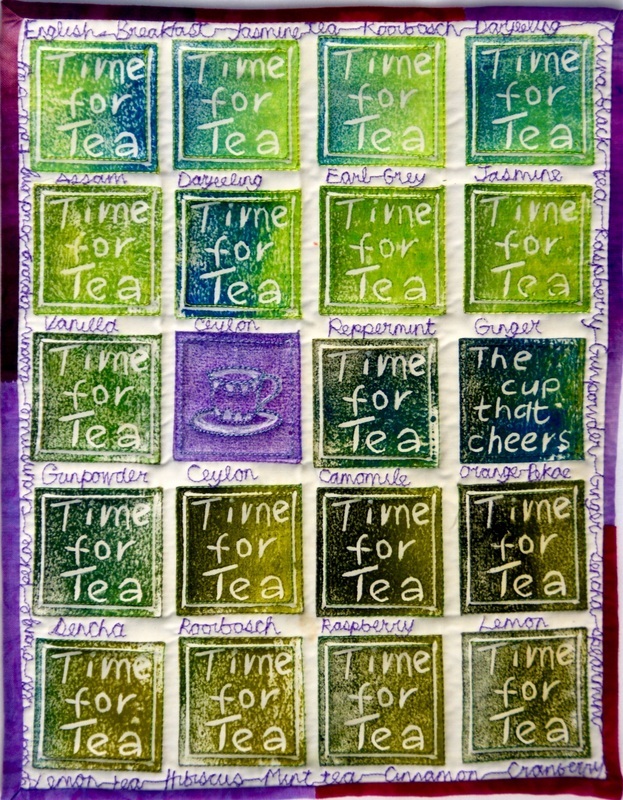 I have painted assorted bags onto saved teabags and stitched them to a background. August. I'm not sure whether this is readable here. If you know William Cobbett who wrote "Cottage Economy" this will appeal to you. It is a diatribe against the evils of tea drinking and is fascinating. I have edited a bit. September - The last four months must have a bit of orange. I think this one speaks for itself. October - "Picnic tea" No picnic is complete without a flask of tea. December - You need a tea cosy to keep your tea warm in the winter! Painted and stitched.